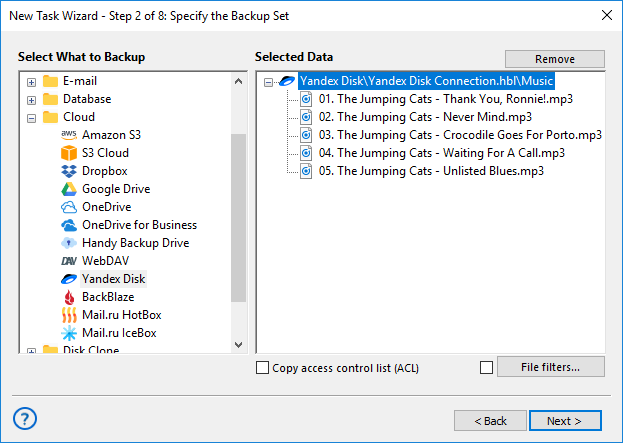 Handy Backup uses the Yandex.Disk to save copies of Yandex.Disk cloud storage content, as well as for using this cloud storage for saving backups from other sources. 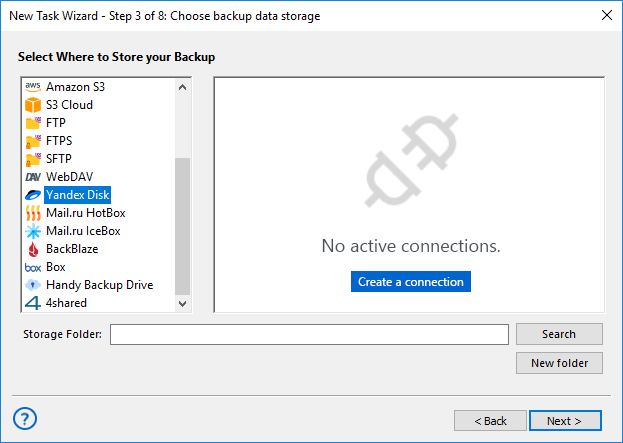 Create a backup task and select your backup data on the Step 2. 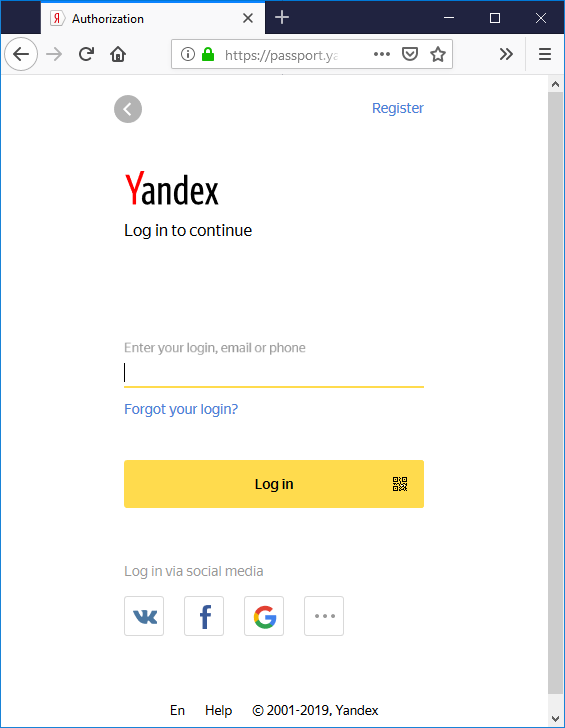 Select “Yandex.Disk” on the Step 3 by clicking on it. You will see a list of available Yandex.Disk configurations on the right panel. To create a new connection, double-click on the “Create a connection...” option. It opens a dialog. Return to Handy Backup. The program will test your new connection. Click twice on the name of your new Yandex.Disk configuration, to select it as a backup storage. Click OK and continue creating your task. No steps are specific for using Yandex.Disk. All the actions described above are correct for using Yandex.Disk as data source. 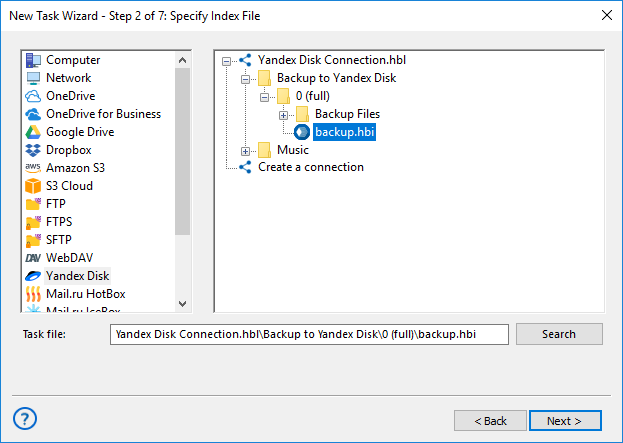 Select the Yandex.Disk plug-in from the “Clouds” list on the Step 2 instead of the Step 3, then create a new connection as shown before, and use it as a data source, selecting particular datasets for backup from it. Open Handy Backup and create a new task, selecting restoration on the Step 1. 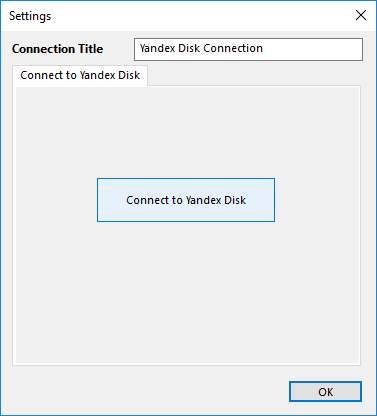 On the Step 2, select the Yandex.Disk and an appropriate configuration to access data. Find the index file called backup.hbi in the data content on the account. Select it to restore the backup dataset from Yandex.Disk to its original location. 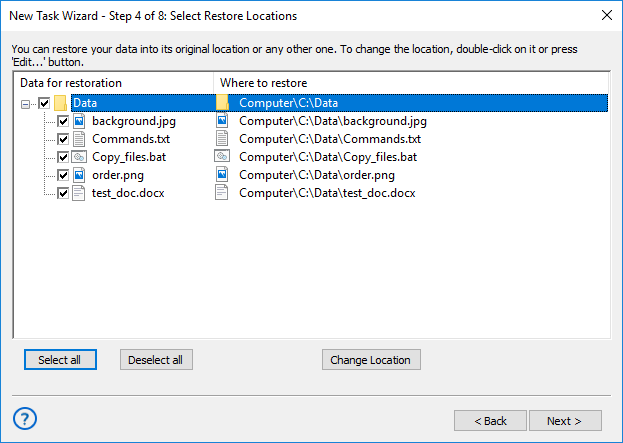 If you want to move the backup dataset to another place than original, click the “Change location” button. In the dialog opened, select a new destination for your data. Click OK to return to the task wizard.